The members of ENS@T all belong to leading academic medical research centres, have clinical and laboratory facilities, and are engaged in adrenal research. All clinical teams have patient registries. Many have DNA collections complying fully with ethical guidelines, and several have adrenal-specific imaging facilities including PET-scan clinical Investigation Centers, and Biological Resource Centers. 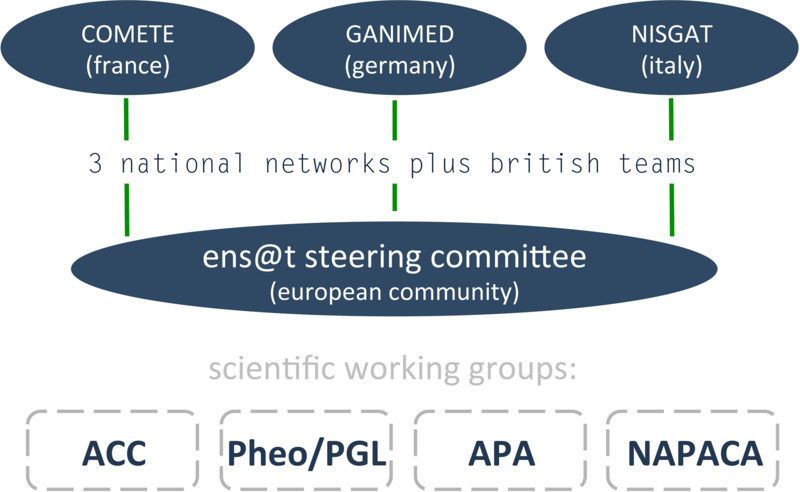 Several ENS@T partners have access to cell imaging platforms, molecular biology platforms (proteomics, tissue arrays, peptide synthesis) and modified adrenocortical carcinoma cell lines for conditional knock down. ENS@T has been registered as a legal entity in 2002 in Paris. Its Participant Identification Code (PIC) is 930545154.